Lisa Horne grew up in Flint, MI and is product of the Westwood Heights School District. She attended Flint Hamady High School and was an all-around athlete earning state honors in both track and basketball. She was a four year starter for the Flint Hamady Women’s Basketball Team and throughout her four years she racked up numerous accomplishments. 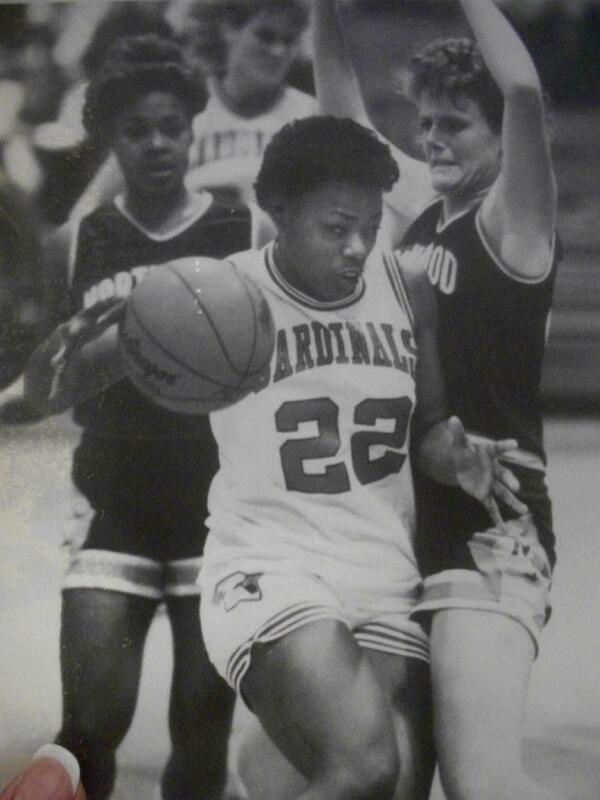 In 1983 she was named to the All-State team, 1st Team Coaches Poll, 2nd Team Detroit News, and 3rd Team Free Press. In 1984 she was named to the All-State Team, was 1st team in all polls, and was selected twice as one of the top 25 players in the state. As a sophomore in 1983 Lisa Horne battled injury to help The Lady Hawks win a Class C State Championship scoring 30 points. Horne shot a perfect 10-for-10 in the 2nd half in what was considered one of the greatest performance in state finals history. Horne outscored the entire Pewamo team in the final two quarters and is still to this day the only player form the Flint Area to score at least 30 points in a State Final and win. Throughout her career at Flint Hamady she scored over 1000 points and was named Prep Player of the Week by The Flint Journal three times. Lisa also participated in the Flint CANUSA Games twice in 1982 and 1983. Lisa was also a four year Track & Field participant earning All-GEC honors from 1982-1985, All-State in 100-yard dash, 3rd place in state for 100-yard dash, 2nd place in state for 200-yard dash. She also led Flint Hamady in the 440 and 880 meter relay teams that qualified for the state finals in 1983 and 1984. Lisa Horne was a team captain for Flint Hamady’s Varsity Basketball and Track & Field teams from 1983-1985. Lisa earned a full basketball scholarship from Saginaw Valley State University where she played from 1986-1989 scoring over 1000 points in her college career. In her first year she received honorable mention honors and went on to earn 1st team All-GLIAC and NAIA District 23 honors. After her senior year at Saginaw Valley State University she finished in the top 10 in games played in school history as well as 10th in field goals scored and 6th in steals with 276 total career steals. In the 1986-87 season she helped Saginaw Valley State University win the GLIAC Conference with a conference record of 15-1 and an overall record of 30-2. Lisa started in 30 games, had a career high of 31 points against Indianapolis and has 47 double figure games in her career at Saginaw Valley State University. Lisa did not desire to play professional basketball but utilized her scholarship to obtain a Bachelor’s Degree from Saginaw Valley State and her License Master Social Worker’s Degree from Eastern Michigan University. Lisa Horne you are the true definition of being “Flint Strong”! You have made Flint proud, welcome to the Greater Flint African-American Sports Hall of Fame!